Smoked meats have become more and more popular, and many people are Buying their own smoker cooker for their homes so they can enjoy the delectable taste of these smoked meats any time they want to. With the popularity of smoker cookers on the rise, smoking cookbooks are also becoming more popular. If you are new to cooking with a smoker, you may need the help of some good electric smoker recipes, so taking a look at some electric smoker cookbooks is where you will want to start. The best smoker cookbook will have thorough instructions and illustrations to help you understand How to smoke your meats to the best of your ability. They’ll give you all the Tips and Tricks you need to make the best smoked meats you’ve ever had, and some of the books will also highlight the world of barbeque through competitions and different barbeque restaurants. You’ll want to find some COOKBOOKS for smoker that have mostly great reviews from customers who have already purchased them and tried them out. The recipes should be clear and concise, and easy for anyone to implement – even beginners. This is especially important if this is your first smoker cooker. 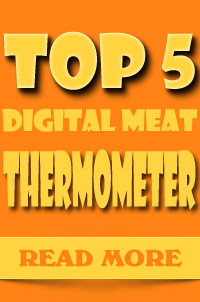 You may even want to try out a few different electric smoker cookbooks that have gotten high ratings, so that you will have a plethora of recipes in your arsenal any time you want to make some smoked meats. In this way, you can try out all different kinds of recipes, and not get bored of the same thing over and over again. In Jeff Philips Smoking Meat book, you’ll find all kinds of tips and recipes that Jeff has developed and compile from his own experiences with smoking meat. He will show you step-by-step How to choose your smoker, set it up properly, and modify your own gas, charcoal or electric smoker. After you’ve chosen your smoker and gotten the hang of some of the more basic recipes, Jeff encourages you to experiment and come up with your own delectable recipes. His book stems from Jeff’s smoking meat website which he started compiling to share all of his smoker cooker expertise on the web. He has now expanded this to over three hundred pages of tutorials and recipes. His goal is to equip people with the knowledge they need to make wonderfully slow smoked meat in your own backyard which you can share with friends, neighbors and family members. Jeff Phillips BBQ knowledge is fairly extensive and this book is great for beginners to smoking especially. You’ll get all the tips you need to learn how to smoke meats and some great recipes to go along with it. When it comes to competitive barbeque, Myron Mixon has won the most prizes and trophies. He learned what he knows from his father’s side, and grew up to expand upon his parent’s sauce business. This Myron Mixon book is a mixture of his great talents and even greater recipes, both which led him to the world championships and over 180 grand championships. The Myron Mixon NNQ Cookbook will show you that you are probably over thinking barbeque – when in reality you need to keep it simple. Learn how to cook like Mixon does as he shows you how to become like a seasoned pro. Myron shares with you over seventy-five of his award-winning recipes, from one of the most sinful burgers you’ll ever eat to Myron Mixon recipes ribs, a crowd favorite. You won’t need to worry about cooking temps and times anymore either, as he will explain these too. If you love to barbeque, then the Steven Raichlen BBQ Bible is the book for you. This is the best and biggest collection of recipes for the grill that you can get, and it has been redesigned for its 10th anniversary. Inside you’ll find all kinds of photographs to show you the ingredients you need, different grilling techniques, plus ones that show you the food preparation and of course those photos of the finished product. You’ll also find a new section in this best grilling book in which they’ve added answers to the grilling questions that are most frequently asked. Plus, you can find Steven’s quick solutions to commonly made mistakes, his proven tips, and so much more. Steve Raichlen cookbooks have consistently been a popular choice, and this one will certainly not disappoint with the wealth of information that is inside it. For one of the best sausage making books available, Check Out In The Charcuterie. The act of preserving meats is an old tradition, but it has caught the attention of the modern imagination. This much anticipated book contains all kinds of recipes for roasts, salumi, sausages, comfits and pates, plus everything else in between. This is a must have if you love cooking meat at home and want to try out something different than what you normally do. This is also a great book for professionals to broaden their repertoire, and this book contains over 125 great recipes. Plus, this best sausage making book is full of colorful and rich illustrations to help you further make all kinds of cured, smoked, brined, braised, skewered, tied, rolled and stuffed meats right from your own home. It even contains a primer on butchering whole animals. If you love meat of all kinds, you can’t go wrong with this book, which contains an absolute wealth of information on different types of meats and cooking techniques. Sausage is a very popular food, and this sausage recipe book is a great addition for anyone who agrees. With so many choices and different recipes, your imagination can run wild with over 150 different sausage recipes. You’ll enjoy the 100 recipes for making different types of sausage, and the 50 recipes for cooking with sausages so you can enjoy them in all kinds of ways. This sausage book shows you how to make sausages from all different meats, including chicken, beef, pork, turkey, and even fish and shellfish, plus learn how to make sausage from game meats, something becoming quite popular. There are plenty of ethnic favorites as well with sausage recipes from Germany which include Mettwurst, Bratwurst and Vienna Sausage. Also enjoy the Italian Cotechino and Luganega, or the Polish Smoked and Fresh Kielbasa. Kosher Salami, Potatis Korve and Spanish-Style Chorizo are some of the other recipes you will find to enjoy in this book as well. The best smoking cookbooks and more can be found in the books above, and no matter if you are new to smoking meats, you want to broaden your recipes and knowledge, or you are interested in how to make sausages and other different kinds of meats from your own home, these books have a lot of information to offer you. All of them have great reviews and are smart purchases for the various techniques that they can teach you. They are filled with colorful illustrations to help you better perform the different techniques, and to show you how the finished product should look. If cooking meat is your thing in any capacity, you’ll definitely want to take a look at these books for the best electric smoker recipes and so, so much more. Plus, these books are all rated as having very clear and easy-to-do instructions on the various recipes and methods of cooking. You’ll love cooking outside during the summer months with these books, and your family and friends will love coming over to try out what you’ve cooked. With so many recipes to choose from, no one will ever get bored from eating the same thing since you can make something unique each time. Take the time to look over all these books, and you’ll not regret having them on hand this summer for an arsenal of smoker cooker recipes, sausage cooking recipes and other various meats. These books are a must have for all of your barbeques and cookouts all season long. Thanks for the video I haven’t used one before but want to learn how !!!!! !